Last week Scott and I discussed Mark Filipowich's article on cross-media storytelling. 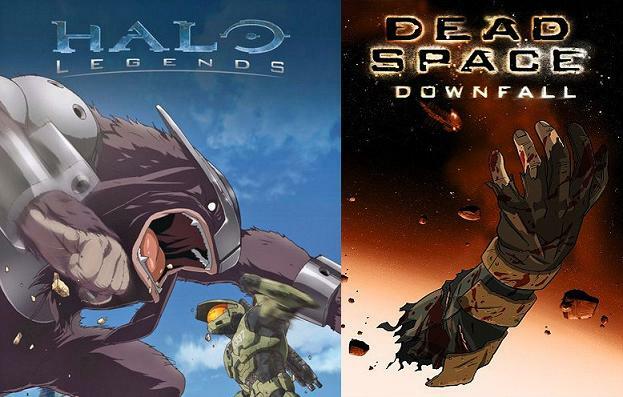 Out of that podcast came a challenge: We would put Mark's theories to the test by watching Halo Legends and Dead Space: Downfall. We have returned with our lives, if not our dignity, intact, bringing you our views on these films and what they add/take-away from their parent franchises. If you rank amongst our bravest listeners, you joined us on this journey and we encourage you to leave your own thoughts in the comments section below. If you have not watched them but are curious enough to do so, both films are currently streaming on Netflix for those with the service.